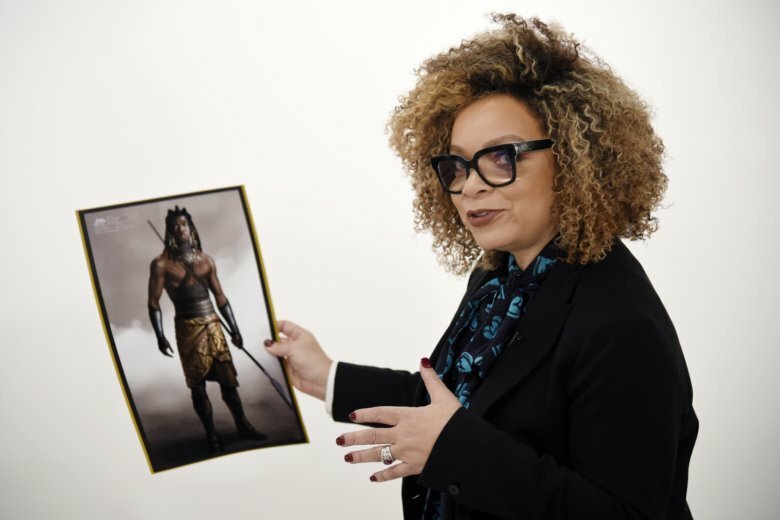 LOS ANGELES (AP) — It’s a big week for Ruth E. Carter, who on Sunday could become the first African-American to win an Academy Award for costume design through her Afro-futuristic wardrobes in “Black Panther.” But before that show, Carter will receive a career achievement award Tuesday at the 21st annual Costume Designers Guild Awards. She talked about her early years with Spike Lee and her favorite “Black Panther” costumes during a recent interview with The Associated Press . Carter still possesses her sketches from her college days at Hampton University and during an internship with the Santa Fe Opera. She spent countless hours drawing all sorts of characters, honing her craft in her dorm room and small studio in Los Angeles a few years after college. One sketch she keeps handy is of a unisex dancer sporting red and gray tights. “I was so excited about the idea of costume design and how it intersects with art. I really wanted to draw the characters out. I spent a lot of time in my dorm room or once I came out to L.A. in my semi-studio at my drafting table,” said Carter, who graduated from Hampton in 1982. “My process at the beginning was to go head on into the script and draw out the characters and make them funny,” said Carter, speaking with sketches from a cross-section of her lifetime work laid out on a table. “This is what I do, this is what I love,” she said. “I was very inspired when we did these illustrations,” said Carter, who worked with six illustrators on the superhero Marvel film. She typically works with one. Even though Carter paved her own way as a costume designer, she never had a problem uplifting others.